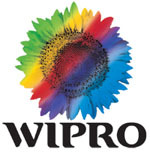 Bangalore: Wipro Technologies has united with academic world to set up Mission10X, an idea, which aims to augment employability of Indian graduate engineers. The plan will encourage systematic changes to existing teaching-learning patterns in engineering education. Mission10X will make use of the Wipro Learning Model to assist faculty make a learner take up advanced levels of understanding of a topic together with advancement of soft as well as analytic skills. The programme involves capability building workshops for faculty and will be unrolled across the nation in a phased manner. Selvan D, Wipro Technologies vice-president - talent transformation said, the aim of Mission10X scheme is to prepare 1,000 faculties in the existing fiscal, 3,000 in 2008 and 6,000 in 2009, taking the total faculty skilled to 10,000 people by next three years (2010). He told, the paradox was that, regardless of the growth in number of colleges, the rivalry for adopting fresh talent was so deep that it gave an idea that resources were truly in short supply. “The challenge is not supply of talent but that of talent that meets the needs of the corporate world. It’s not about having a good curriculum or good faculty. What then is the employability enigma? If students augment their skills in a few areas desired by the industry, employability in the country can be significantly enhanced,’’ he explained. Modernization can assist the company in addressing the challenges of employability and engineering education significantly.